Annual Piney Chapel American Farm Heritage Days is set for August 4-5. Decatur, Ala. – One weekend in August, folks are invited to experience the good ol’ days during one of North Alabama’s largest antique engine and tractor shows. Set for August 4-5, 2017, the Piney Chapel American Farm Heritage Days combines antiques, old-fashioned concessions, live music, and family-friendly fun and games taking visitors back to the “good ol’ days”. Presented by the Piney Chapel Antique Engine and Tractor Association, the Piney Chapel American Farm Heritage Days is considered one of the best antique engine shows in Alabama offering festivalgoers a chance to see an array of farm equipment including gasoline and steam engines in action, horse-drawn equipment, antique tractors, cars, and trucks, and other farming memorabilia. This year’s event features tractors and equipment manufactured by Case Corporation. A 20 HP Keck-Gonnerman Steam Tractor will also be displayed threshing wheat. The two-day event also offers a variety of vendors, old-fashioned concessions including breakfast biscuits (Saturday morning only), pinto beans and cornbread, and fish fry on Friday night along with live music featuring local bands starting at 5:30 p.m. Other activities for families to enjoy include a Fast Crank Competition, Slow Races, Chain in a Box, a skillet throw for ladies, and pedal pull for the kids. 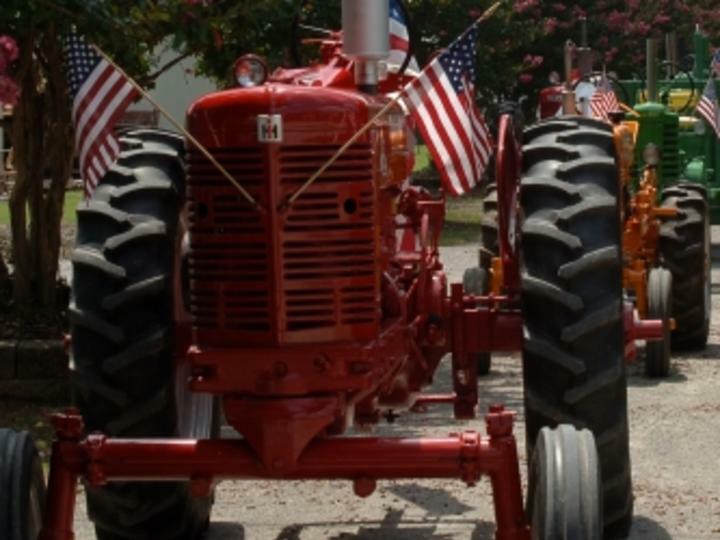 Sponsored by the Limestone County Farmers Federation, a 20-mile tractor ride is planned for Friday, August 4th departing at 10 a.m. Spectators can catch a glimpse of the tractor parade as riders make their way from the festival grounds along Elkton Road north to Sandlin Road. The ride will continue to Beulah Road and then on to Fort Hampton Road to the town of Elkmont for lunch at the Elkmont Town Hall furnished by the Limestone County Cattleman’s Association. Upon leaving Elkmont, the ride will resume onto the Richard Martin Trail (Rails to Trails). Once off of the trail, the ride will head east on Carey Road to Elkton Road for the final stretch back to the show grounds at approximately 1:30 p.m.
Gates open at 7 a.m. on Friday and Saturday and the event goes on until the music ends both nights. The event takes place at 20147 Elkton Road, two miles north of Athens off of Interstate 65. Admission is $5 per person. Children 10 years old and under are admitted free. Parking is free. For more information, call David Hargrove at 256.431.6226, Allen Dement at 256.431.0619, Marvin Putman at 256.431.2316 or Mike Hodges at 256.206.5926.